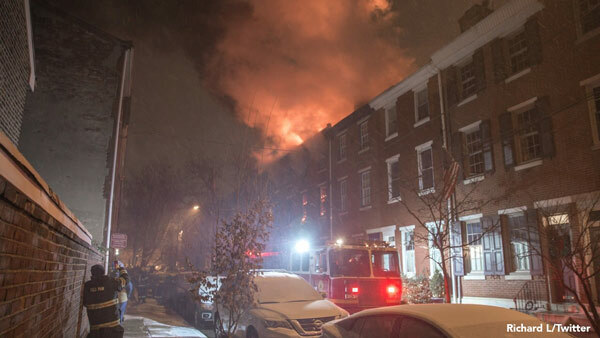 QUEEN VILLAGE (WPVI) -- A 2-alarm fire broke out in the Queen Village section of Philadelphia early Thursday morning. It started around 4:30 a.m. on the 100 block of Pemberton Street. The fire spread to the roof of the home. Crews were able to get the fire under control. A salt truck was brought in to the block to help with the iced up roadway. A SEPTA bus was also on the scene to assist fire crews in the cold temperatures.